Recently, I (John) accepted an offer to join the Operations Resource Team for the Campus Ministry of Cru (our ministry to middle, high school, and college students and faculty). It was the culmination of a good deal of prayer for Ellen and I including discussion with many individuals. Here’s the backstory…. You may remember from when we first joined the High School Ministry Operations team two years ago that Operations is how Cru describes the infrastructure upon which the day to day ministry operates: including things like Communications, Conferences, Graphic Design, Finances, Technology, and anything ministry-related on the internet. Do you remember the story about how the disciples fished all night and caught nothing? Jesus asked them to “cast the nets on the other side of the boat”. Jesus provided a miraculous catch. The nets weren’t strong enough and the boats weren’t large enough to hold the harvest of fish; they had to call for help! Operations teams provide “boats” and “nets” to our staff, volunteers, and student leaders to bring the gospel to the nations. 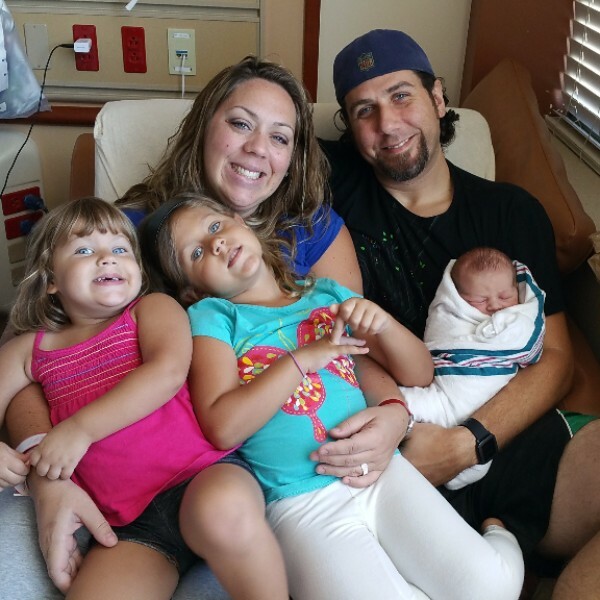 With a growing family with changing needs, we sensed the Lord was drawing us to a change in role. We are excited about this change, especially as it increases our scope to reaching over 661 million middle school, high school, college students and faculty with the Gospel. We know that if we can effectively reach the students and faculty of the world’s campuses, we can reach the whole world through their influence as they are sent out to every nation. We will still be in Orlando at Cru headquarters. In fact my desk will move only about 50 feet! Of course there’s no change in our passion for reaching out to young people with the good news of the gospel. There is also no change in our need for your partnership in our outreach. Please pray for our family as we take some extended time to increase the size of our team of prayer and financial partners until we are fully supported in our work. After this I will be able to fully engage in the new role. Your prayers and financial support are still critical means for God to provide for us… so we can reach out to young people with Jesus’ love and good news. We appreciate you greatly and look forward to telling you more about this transition as the details become more clear. Our “lives are not [our] own”, so we follow with joy and step out in faith. We are grateful that you walk with us in this journey together! 300 teenage students from all over Western Europe and America gathered for Cru’s SHINE conference this past summer in Malaga, Spain. Each day, they spent time building joy and faith through worship, the Word, prayer, and in preparing for outreach events. The week culminated with a free concert by a German Christian band, “Good Weather Forecast”, where the gospel was shared with thousands. A family from the SHINE conference stopped into a Burger King for a bite to eat after a long day in the city. They struck up a conversation with a young man wearing a satanic t-shirt. After they shared Christ with him, he confessed that he had come to BK to have his last meal. He planned to end his life that night…until he heard about Jesus. He threw his old t-shirt into the trash, put on a SHINE t-shirt, and went home with a new life to live! Thank you for helping us reach him! 1,000 people a day meeting Jesus at our EveryStudent.com site! Around the world most colleges have classes started in recent weeks and so Cru students, staff, and volunteers are actively involved in welcoming students, initiating spiritual conversations with students on campus and online sharing the love of Jesus in word and with actions. 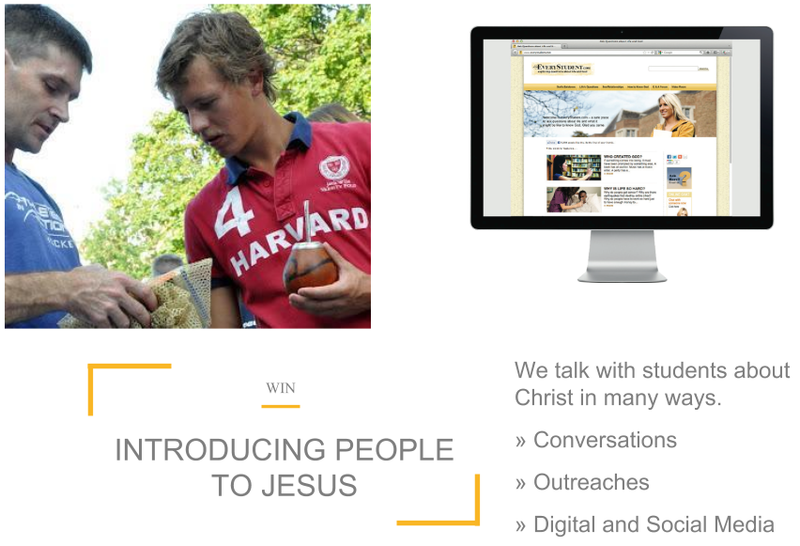 We just wanted to give you a quick update we received from our leadership about how people have been responding to the gospel online at our evangelistic and conversation starting website, EveryStudent.com, which is in 42 languages. Here’s an update below from Marilyn, fellow Cru staff at our headquarters in Orlando. We are so excited to be a part of reaching thousands of people around the world with you both online and in person!!! Your partnership with us is making it possible for students, like Clovis and Samson, to hear the gospel in their own language and make a decision about Jesus, and then help their friends to have the same opportunity. Thank you for praying for salvation, boldness of faith and for more doors to be opened on campuses all over America and beyond! “Violette is one of the three exchange students from China who came to Fastbreak with us this year. I explained to Violette that the reason her heart was empty was because there was a God-sized hole in her heart. We talked some more and then I asked her if she wanted to ask Christ to fill that hole. She said, “Yes, but I don’t know how to pray.” “I’ll show you,” I answered as we bowed our heads and I lead her in a prayer to ask Christ into her heart. “My heart is full, thank you so much!” Soon after Violette prayed with me, her friend Euphie pulled me aside to ask how she could accept Christ too! The third exchange student Ester was already a believer and now all 3 of them will be joining me for a weekly Bible study. You may know that it’s illegal and dangerous to practice the Christian faith in China, so it’s a huge testament to God to see these 3 young women so willing to become warriors for The Lord in their country! For a printable version of this newsletter, download a pdf document here. Winter Conferences Help Students experience Jesus!!! At our 11 winter conferences, occurring from December to March, we saw the Lord do amazing things for teens across the nation with Cru! Almost 500 conversations initiated by our staff and students, 146 of them turned to spiritual things, 60 of them included a gospel presentation, and as a result, 19 students decided to follow Jesus with their lives! Beyond this, our teams in over 4 cities showed the Woodlawn movie this school year to more than 1000 students and over 100 decided to follow Jesus! Pray for these students to grow in their faith and share it with others. Baby#3 due in late June! Ryan wrote on his blog last week about why we should influence students. Granted, his post is more focused on college students, but almost everything posted there can be applied to the teens of the world as well. Teens are the most impressionable group of people in the world, maybe even more than their older college-aged counterparts. As Ellen and I step into our new role leading the national operations team of Cru High School this month, we are thinking about these things and how many similarities can be found in both the lives of college students and teens. Most college freshmen are teens, after all. Reason #1 Students are ready to change their mind. There is tremendous competition for the hearts and minds of students. Beer companies, credit card companies, media companies etc. 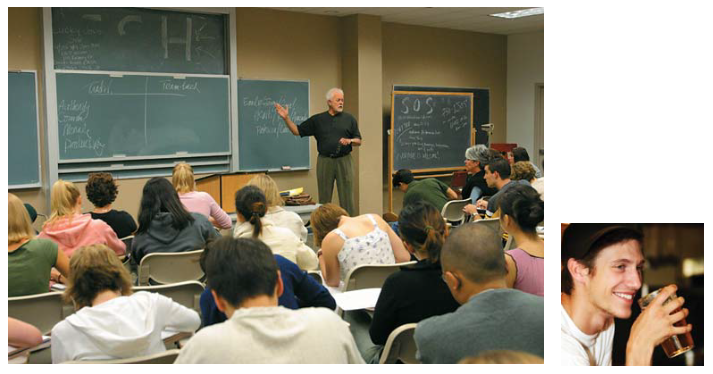 all compete for the “mindshare” of students. Why? Because students are more open than at any time in their life. 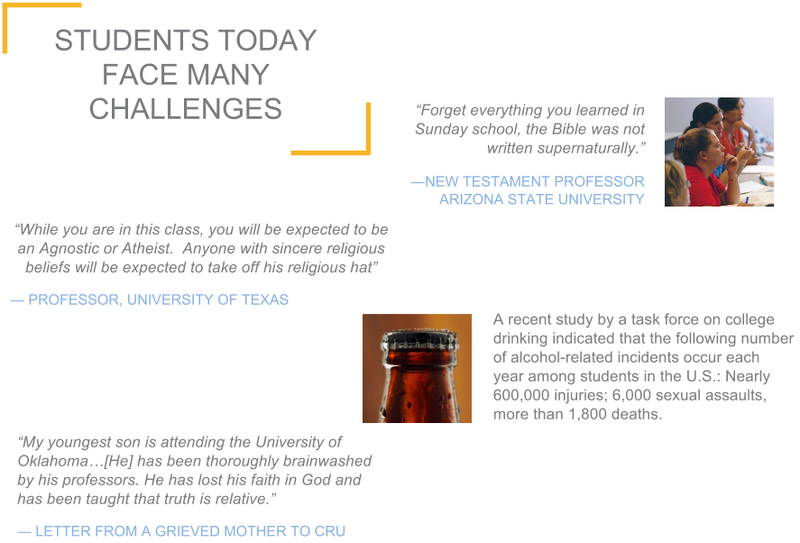 Yet despite the openness of students, the college campus with many challenges to following Jesus. Despite these challenges, God is working. You can help put the gospel within arms reach of each student by partnering with Cru with your time, talent and treasure. Together we can change the lives of students and change the future. A girl in a burqa crossing a Walmart ditch?! and a snazzy Cru video makes headlines! She could be a child of God and walking with Jesus, who knows!? but the likely fact is that she is probably not because her outfit suggests she belongs to a family/culture that follows another religion and, like I was before I met Jesus, headed for an eternal destiny separated from God. The picture of her crossing the ditch slowly about 6 feet below the street level seemed to get me thinking: How much of a picture is she of a lost lamb who doesn’t know her way, headed for spiritual death, trying to cross a spiritual divide without the Only One who can bridge that gap for her: Jesus? We work with college students, showing them the way to Jesus who is the only one who can bring them back into healthy relationship with God. We are grateful for you who have prayed and given financially and in other ways so we can be a part of this work! Snazzy Gospel centered Video Clip published by Cru makes it into the local Times Union newpaper here in Albany! Read the news article here. Watch the clip by clicking below. Below in our latest 2-page newsletter are some highlights from The Epicenter Experience (annual winter conference) collected from all over the northeast, with student testimonies of how they met God and how he changed their lives here in Albany on Wolf Rd at the Holiday Inn. We added a little snippet of a story from a local campus where our students are sharing their faith more boldly and obediently this semester. We trust you will be encouraged by it when you click on the image below to read the newsletter. We hope it will encourage you to show the lost people around you the way to the Bridge to Life!